But you want more. You want real explanations. 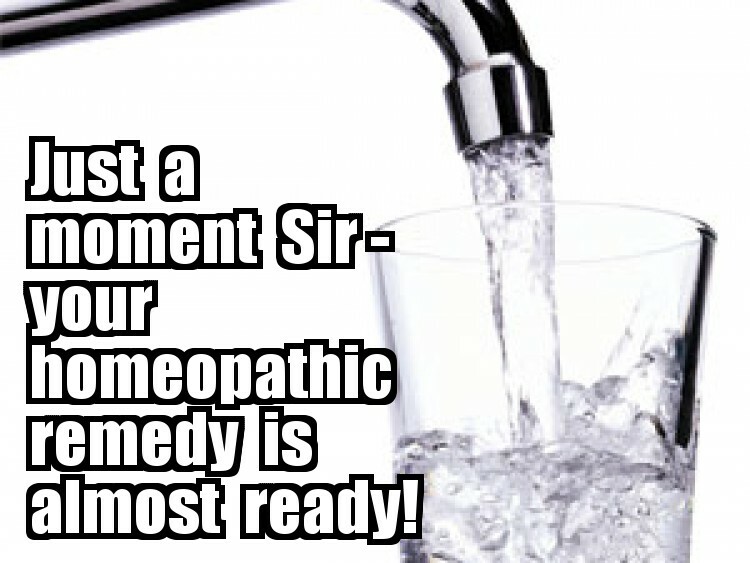 First, just in case you were unaware, let’s clarify what is homeopathy. A lot of people, mostly Americans, conflate homeopathy with natural medicine, like herbal medicine. It isn’t. Basically, homeopathy, known as the “law of similars”, is “let like be cured by like”, and is a term coined by Samuel Hahnemann, a German physician who was appalled by the state of medicine at the time, the late 1700’s. And frankly, the state of medicine at that time was pretty bad, so any new idea might have been worthy of trying. However, when Hanneman was alive, basic scientific knowledge was missing. The cell theory and germ theory were a few decades from even a basic understanding. Homeopathic potions are prepared by serially diluting the original substance (could be anything from diseased tissue to arsenic) with shaking by forceful striking on an elastic body, which they term succussion. Each dilution followed by succussion is assumed to increase the effectiveness. Homeopaths call this process potentization. So far, it’s just merely diluting and shaking, so nothing much there. But the level of dilution is such that there is only a tiny possibility of any molecule of the original substance showing up in solution. Thermodynamics of Extremely Diluted Aqueous Solutions. Interesting article, except it’s only 2C dilution, so a thermodynamic effect might be possible. But second, and much more importantly, the article is only cited 3 times in 20 years. A high quality article just gets cited more often, as researchers want to repeat it or review articles refer to it. Neither happened. So the facts don’t support homeopathy, and the “facts” in the article are suspect anyways. Hormesis Outperforms Threshold Model in National Cancer Institute Antitumor Drug Screening Database. 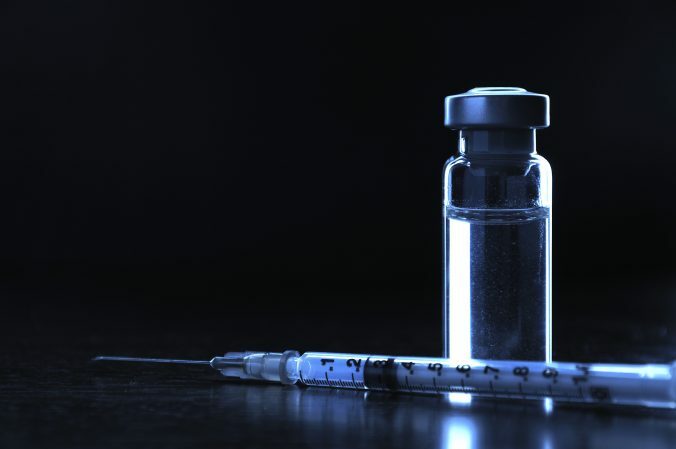 This article describes dose-responses for anti-tumor drugs. This has nothing to do with homeopathy, and everything to do with getting the right dosage for new cancer therapies. And none of the dosages are even slightly close to the dilution levels in homeopathic potions. The in vitro evidence for an effect of high homeopathic potencies—–A systematic review of the literature. Since the homeopaths are unable to show much in the way of clinical evidence, they’ve gone to in vitro work, just to prove it might work. Except, even in this article which is published in a low quality CAM publication, says “no positive result was stable enough to be reproduced by all investigators.” Even these researchers, who do their best to twist the results to support their hypothesis cannot make a statement that totally supports homeopathy. And, once again they violate the foundation of science which is to examine the data and build a hypothesis, NOT try to find evidence that supports the outlandish hypothesis. There were more articles, and I could have debunked many of them. The problem is, typical of pseudoscience, that they are guilty of quote mining, or more broadly, research mining. The author might list 100 articles (even if they don’t really say what she claims they do), but how does that fit in the broad body of work. 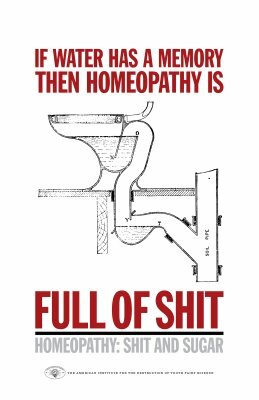 I can probably list 10,000 studies that show homeopathy (or its underlying principles) are just not based on any evidence. But science (as I’ve said before) is not a democracy. It is based on consensus, and the consensus is and remains that homeopathy is nonsense. However, if the homeopath can show some positive clinical result in a truly double blinded study, and show a potential mechanism that doesn’t violate every principle of physics and organic chemistry, then bring it to the table. Science can reexamine the data, and we would include homeopathy in the armamentarium of evidence-based medicine. And let’s be clear, since placebo is a myth, just proving that homeopathic potions are as good as placebo means failure. No ethical physician is going to prescribe a placebo for a serious disease, a characteristic completely lacking in homeopaths. The evidence completely supports the fact that homeopathy does not work. Period. What I don’t understand is why people think a vial of water would cure them of anything. Homeopaths make a lot of money abusing people’s naiveté and ignorance. Of course, people think that god’s exist, that vaccines cause autism, and sasquatch is hiding in the Pacific northwest.